BANGKOK / ACCESSWIRE / November 12, 2018 / Vulcano ($VULC), a newly relaunched cryptocurrency is defying the odds and custom as they work to redefine the relationship between cryptocurrencies and academic research. 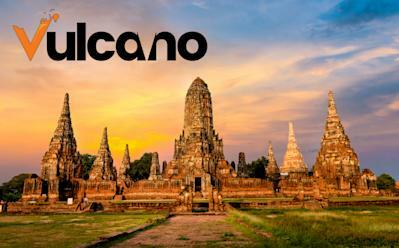 Resurrected by Jason "BitBender" Brink and his team of cryptocurrency enthusiasts, Vulcano has begun to make an impact in the world of seismic research with their signing of an MOU with Rajamangala University, based in Nonthaburi, Thailand, a district on the outskirts of Bangkok. With this contribution amounting to over 1% of its total market cap in this single project, Vulcano is ensuring that the leave their mark on geothermal and seismic research around the world.